This is really, really reaching. Here’s a tidbit for ya: in 1920 Hitler outlined the Nazi Party’s 25 Point Plan. Perhaps a more thorough investigator would like to check those out and assess in what ways history may repeat itself. Protesters tried to shout Hitler down at *his* big rally in Munich, and they got rounded up by these Brown Shirts (a.k.a. Sturmabteilung, or maybe you’ve heard of them called the SA)! All of the people who possess critical thinking skills are able to see the delineation here where the Brown Shirts and the protesters are on opposite sides, right? 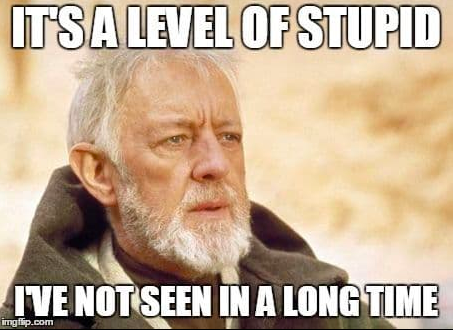 For the lady who is not even able to lay claim to the weakest degree of verystablegenius, please note that the government leadership and the ruling party who hold power (who would that be in America right now?) 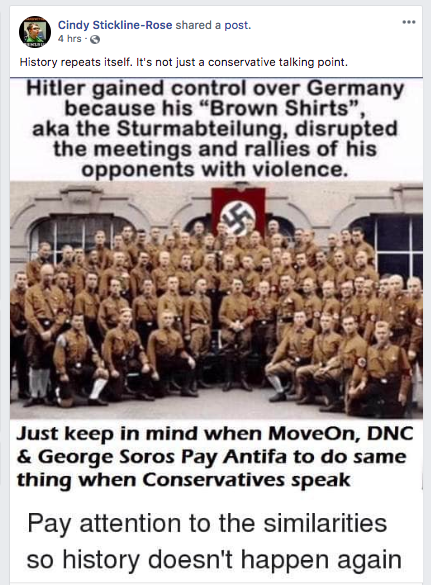 and who are getting shouted at by upset citizens are all on the same side of the analogy, and the Brown Shirts act against those out of power on behalf of the government to violate their free speech. Pro tip: Cindy Rose is a dangerous idiot. She plugs away at proving it constantly. To the point that we have ignored a lot of it lately, because frankly it gets old, but this is beyond the pale. Before you get on the Board of Education, just get an education. This may or may not be an actual representation of your Yokels. Y’all. We are a bit overwhelmed with the number of meetings and the OMGeeee number of candidates in this 2018 local election, so things are going to get quick and dirty here. We will do our best to keep on top of as much as humanly possible while still attending to our regular responsibilities such as work and parenting and whatnot. We do step out of our basements into the Vitamin D and seasonal allergens from time to time, actually. If you’re in need of a refresher on the tradition of anonymous writing in America, we have a whole think piece on that. 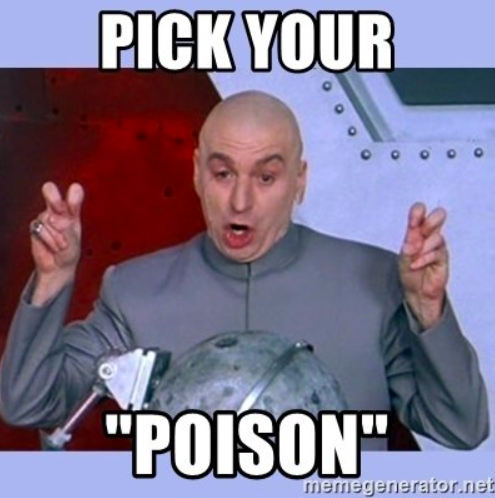 It seems like some BOE candidates aren’t any better versed in history than they are in language arts…isn’t everyone shocked? The agenda for Tuesday’s County Council meeting is here, and Billy Shreve may even attend, so just grab whatever you have handy and have at it. That said, guard you precious liver, because there is also a joint meeting of the Council and the Board of Education on Wednesday. Same “rules” apply. What have we done to deserve this? We thought things were supposed to slow down in the summer! There is so much to point out to you today. It seems the lazy days of summer don’t apply in these here parts. It feels as though we should do something nice for the FCPS legal department that has to sort through her requests. Maybe we can start our very own game of Where’s Waldo with this gal! And speaking of public commenters, our new fave, Matt Seubert, wrote a very informative piece about the Monocacy River Board in today’s edition of The Frederick Extra. If you missed our piece, that goes along nicely with what he had to say, on what is going on in Carroll County click on over. 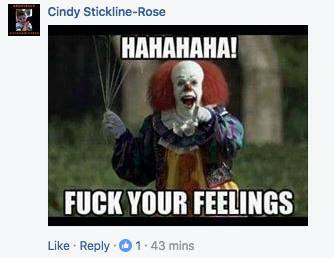 Guess what we think of your feelings, Cindy Rose. 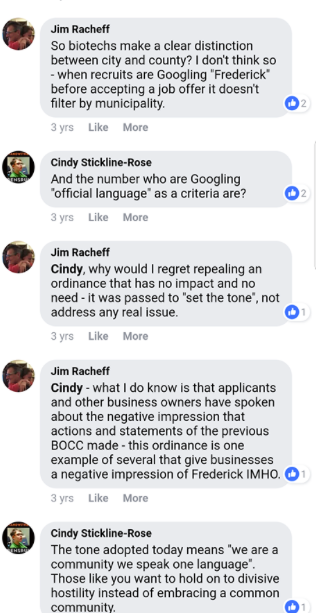 Failed BOE candidate Cindy Rose has scribed an irrational fury bomb about FCPS and tossed it on the world via The Sucky Octopus Feeler. We cannot ever recommend clicking that. And we thought she would crawl under a sea rock and go away (just kidding, unfortunately–we did not think that). She is seething angry because FCPS needs to adopt a transgender policy for the school potties now that Pres-o-Dent Bull-in-China-Shop has reversed the mandate that icked some people out, and she seems to be insinuating that business interests and the like are probably behind this because it is always some business interest or social activist (irony alert: what does she think she is in this scenario? a diplomat?). Plus, this is silly. Lobbyists do not go directly to her archnemesis Dr. Alban when they want all their wildest dreams to come true. Sure, Pearson makes the megamoolah on tests and curriculum. They do that by getting widespread legislative changes enacted by elected officials, not going small taters to the superintendent. Having a policy for inclusivity is probably not where the big bucks are. Unless…is it the Joe the Plumber lobby????? Heinh???? In her twisted world, the fact that FCPS seeks to avoid discriminating against transgender students is somehow discriminating against her. This lady is so filled with loathing that she will find any excuse to pick a fight with the school system. All others who may have special needs and concerns be damned. Sometimes we do agree with Cindy Rose, like when school testing seems stupid, wasteful, and inappropriate to student needs. And also now. We can just hold a mirror up! Ms. Rose also is angry (is there another way for her to be?) because the school system will not let her sit in on their school culture training. Look, this is obviously perfectly understandable, if sensitive to explain. 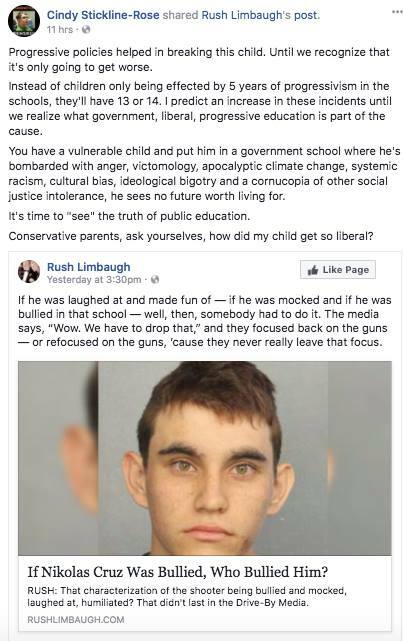 We all know a portion of the school culture seminar is, “What you do with whackalooney parents who will not stop sending you 70 bajillion PIA requests per day.” Letting her sit in there–even all quiet and not spitting and hopping around–like a fly on the wall would just be all kinds of awkward. Ms. Rose says that Dr. Alban likened her PIA addiction to a person who calls 911 abusively, and if you will follow the links in that PIA request link you will see that it is a crying shame that Dr. Alban failed to note that on some occasions it is like that woman who called 911 from the drive-thru at McDonald’s because she was tired of waiting for her McNuggets.